A couple of the spokes where gone on my Bakfiets cargo bike. I tried all the usual bike shops in Oxford but none of them stocked the right size. Bakfiets bikes use especially thick spokes (2.5mm). The previous owner had replaced the broken spokes standard bike spokes which were very thin and essentially useless because they can’t take the load. It turns out that the Bakfiets use motorbike / moped bike spokes. You can order custom spokes in batches of 10 from a company called Central Wheel. They cost around £2 per spoke. 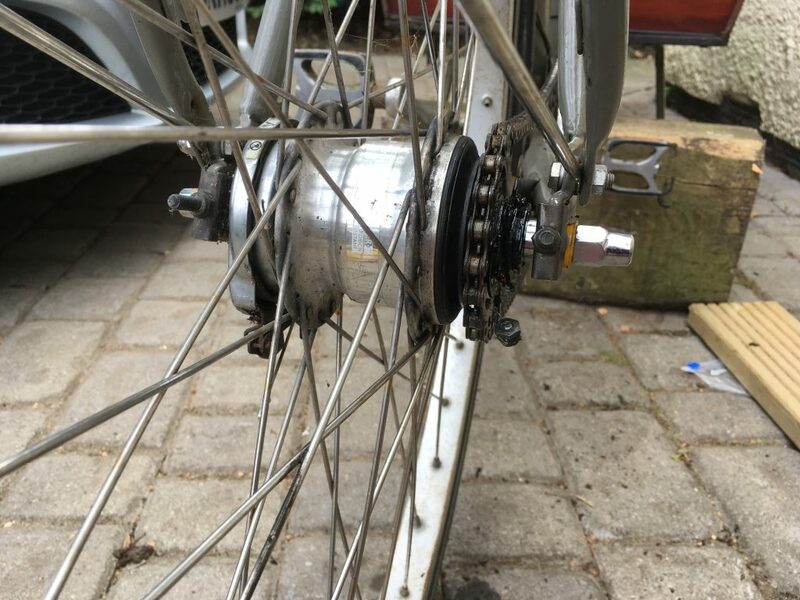 My bakfiets wheel was a little a buckled and I didn’t feel confident in replacing the spokes myself and so in the end I took off the wheel and got it rebuilt by Your Spokes. He measured and ordered the correct spokes from Central Wheel. I can highly recommend him. You can see how thick the spokes are and also a missing one. 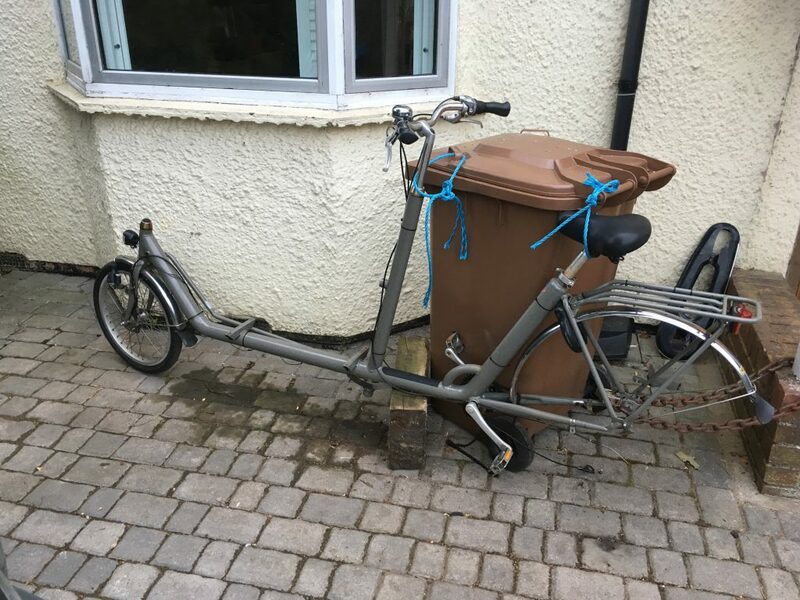 Out of interest, I took the wheel off by resting the bike on an old railway sleeper and tied it to a bin to keep it upright. I’ve also taken the box off because I’m remaking it at the moment. Hope this is helpful for someone. How are you getting on with remaking the box? This looks like it might be a project I have to do myself soon!